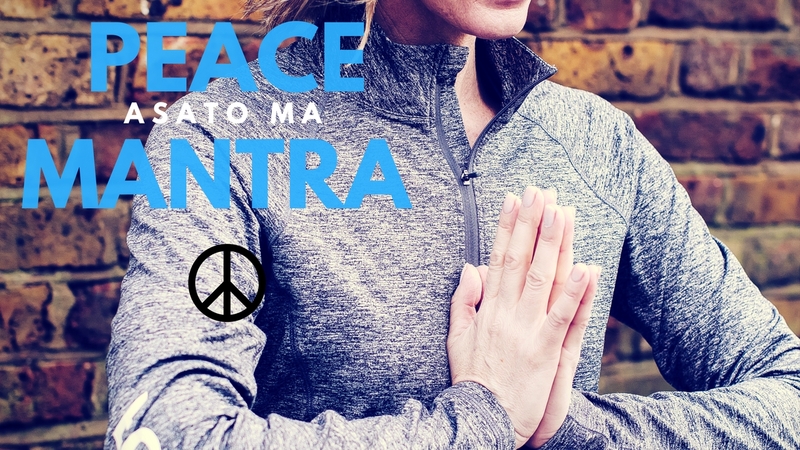 Today i share with you a third (and the last) peace mantra chant, the Asato ma Peace Chant. I used to offer this chant all the time while teaching in New York City. I recently introduced it to my London students. This is a mantra or prayer for self-knowledge and clarity, for global peace and harmony; and to inspire universal truth and gain enlightenment. I like all of the Peace Mantra Chants i’ve shared with you in this series (Saha Nav Avatu chant, Sarvesam Svasti Bhavatu chant) but the Asato ma chant is probably my favourite. Especially as it encourages moving from darkness to light, and i’m a big advocate of that. Chant these mantras for yourself, for anyone you know personally in need of these healing vibrations, and for world peace. I like to repeat the chant 3x, as it’s short. Also the mantras are a bit more challenging to pronounce for new students and this gives everyone a chance to get into it. Place your palms together in Anjali/Atmanjali Mudra and follow along to the SoundCloud audio track, and practice until you know it by heart. from death (limitations) to immortality (liberation).